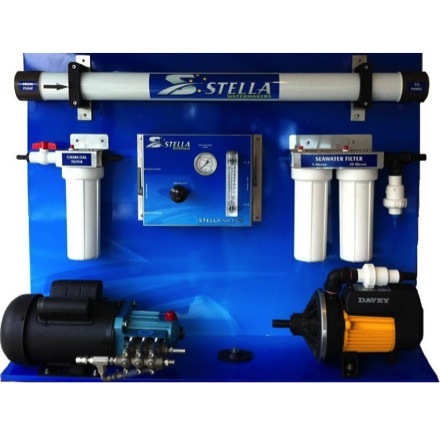 The Stellanator product range is the result of many years of experience. 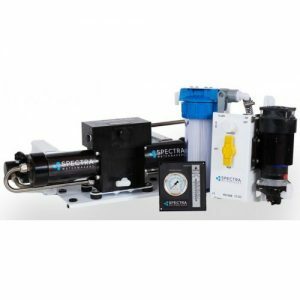 It is designed and manufactured in Australia and combines simplicity with quality components to create a reliable, easy to use system that offers real value for money. This range is modular, hence it can be fitted wherever there is available space and uses no electronics, just simple manual control valves. Standard system is available in 240 VAC. A minimum of 3.5 kVA(continuous rated) genset to run this unit is necessary. Power usage is approximately 12 amps when running. Pre feed pump 240V AC 50Hz. 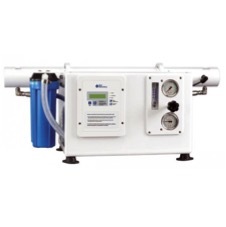 High pressure pump 240V AC 50 Hz. 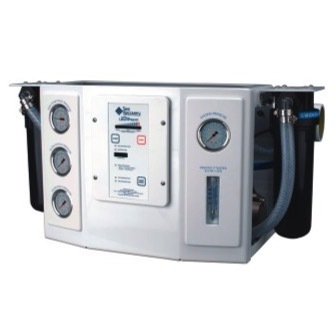 Manual control panel with pressure gauge, flowmeter and pressure valve.